I saw a few of these this weekend and thought they would be fun and easy to make...The ones I saw were plain and had no embellishments. 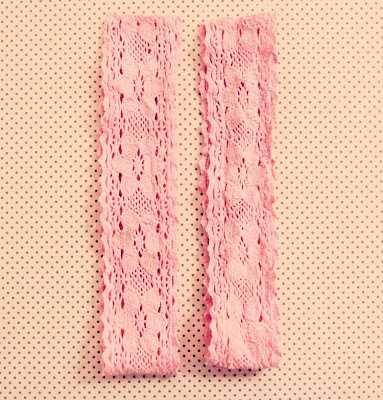 I thought I could jazz them up a bit by adding some vintage buttons and pretty colored elastic...I have lots of crochet lace trim and buttons on hand-I just went to Target and got some hair elastics. You can find fun colors to match the lace, or something that matches your hair color. 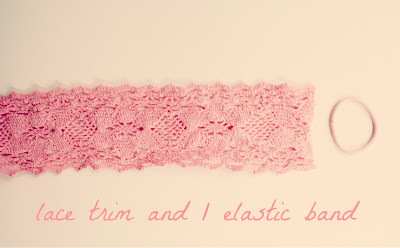 I might do that next time, and may even try a thicker elastic just to see which works best. Meanwhile I made mine, (& took all the photos for this tutorial) within 20 minutes. I'd guess the headband alone shouldn't take more than 10. 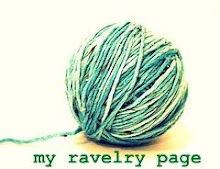 A little more if you embellish yours of course. ~Measure one of the elastic bands.I bought the smallest size the store had, and they are about 1 1/2 inches across/diameter.Multiply this diameter by 2. Take the measurement you got for the elastic bands and subtract that from your head measurement. (ex:mine, 21"-3" =18"). 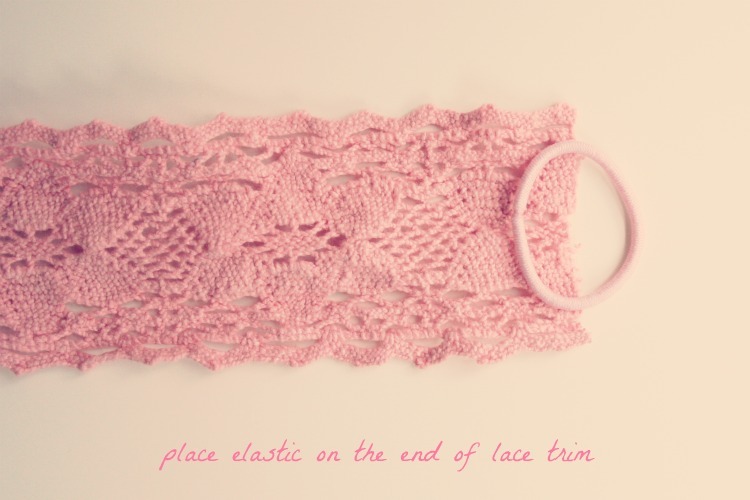 Cut your crochet lace trim to this length. 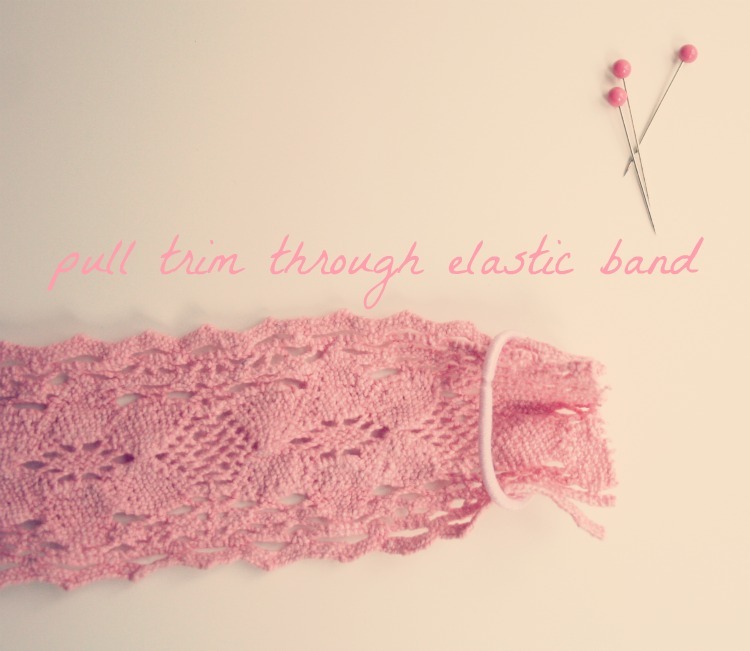 ~Grab one of the elastic bands, and place it on one end of the trim. 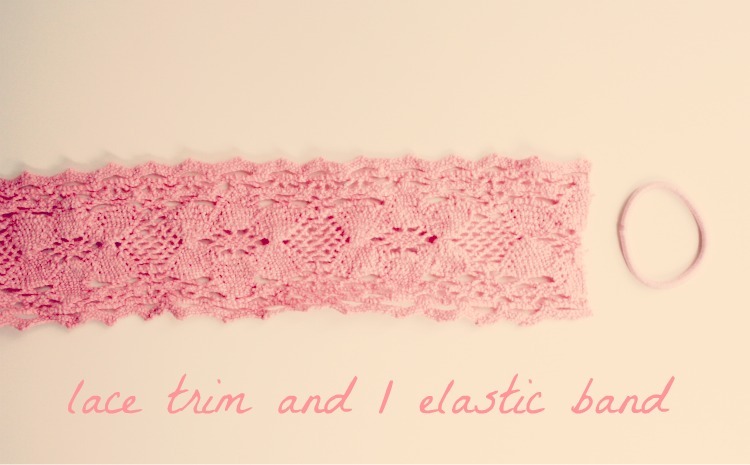 ~Pull the trim through the elastic band. 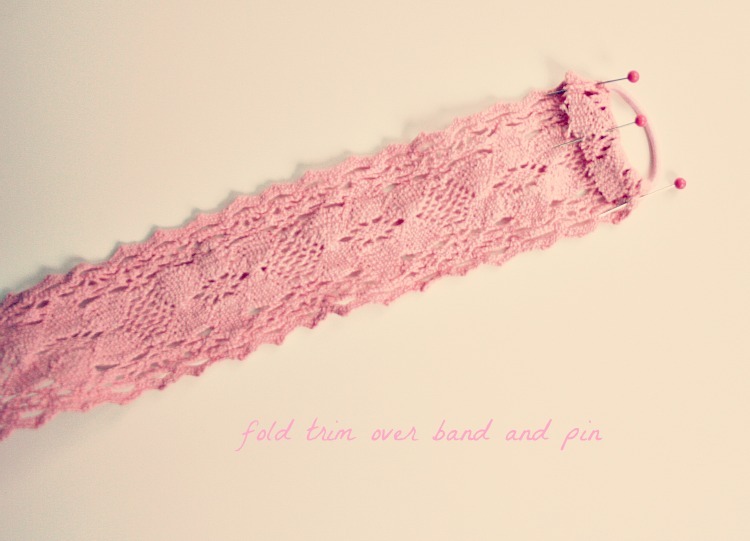 Fold the trim over the band about a 1/2 inch, and pin in place. 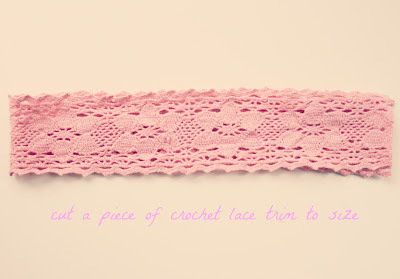 ~Stitch as close to the raw edge of the folded lace as possible, from end to end.Make sure to backstitch. Stitch again from one end to the other. 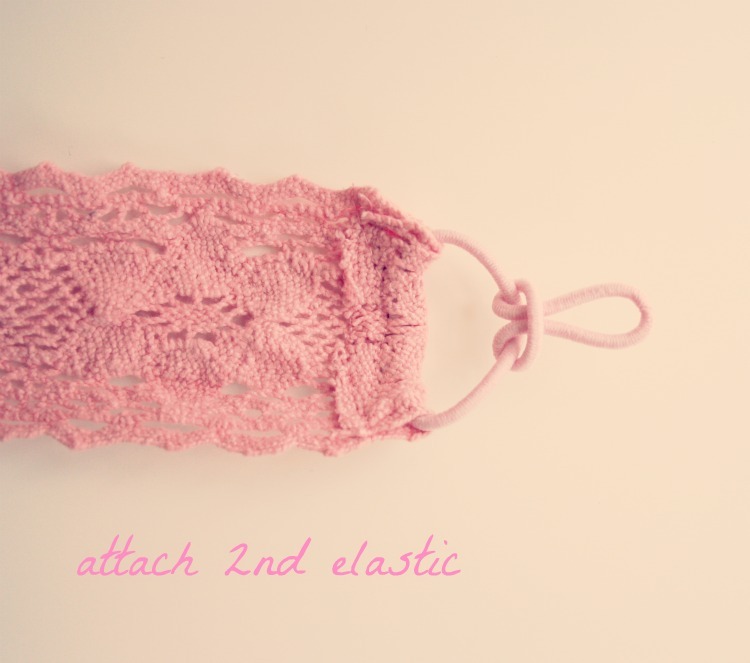 Your secured elastic should now look like this. ~Now attach the 2nd elastic band to the first. 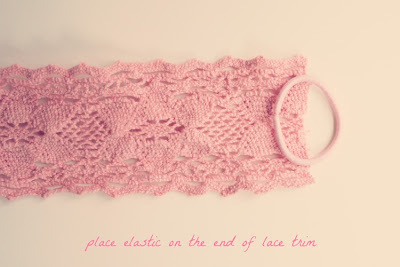 Repeat steps 1~3 to attach the 2nd elastic band to the other raw edge of crochet trim. this is what the back should look like. 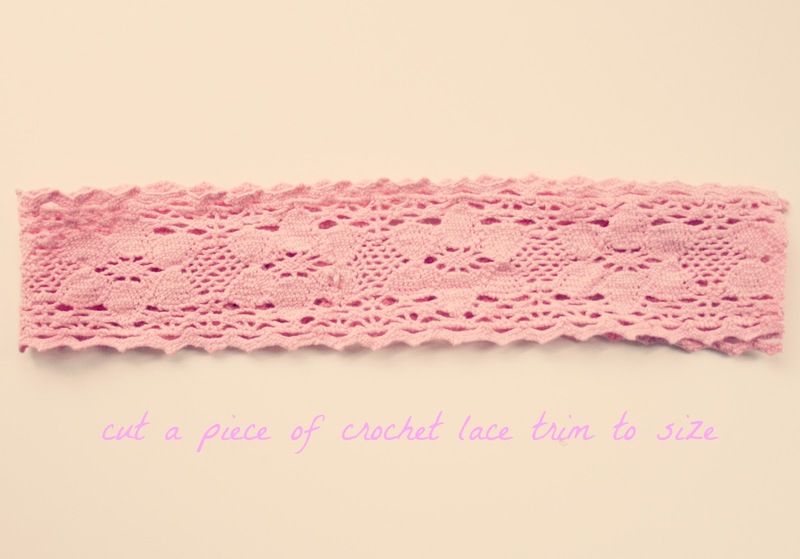 You can add some fray check to the raw ends of lace if you feel like it may need it. love it .. clever! thank you for the tutoring! Ah, what a sweet little tutorial, thank you! I love those pouches in your last post! So sweet andd chic! This would make a lovely present for someone! happy weekend Andrea! 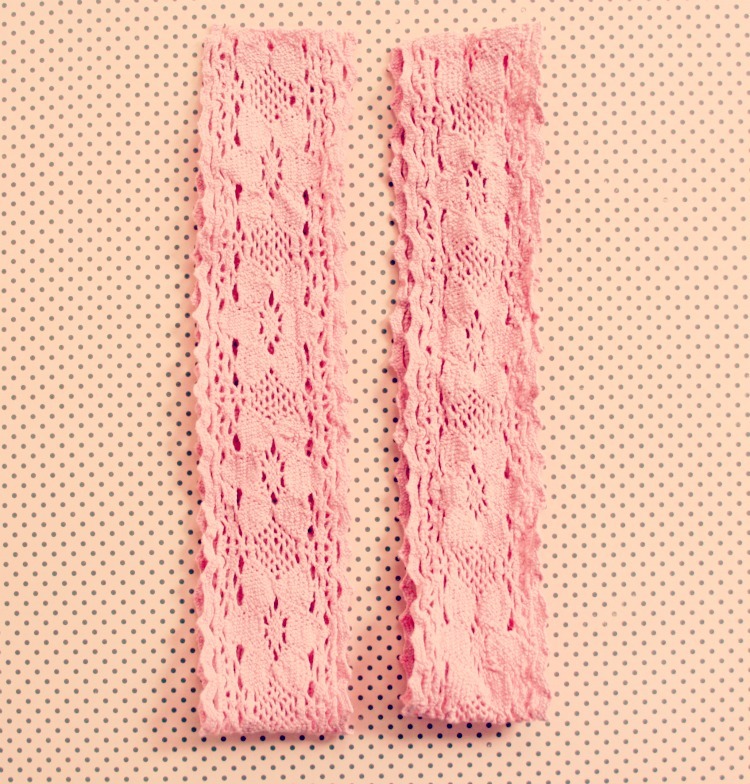 Your headbands are so cute! 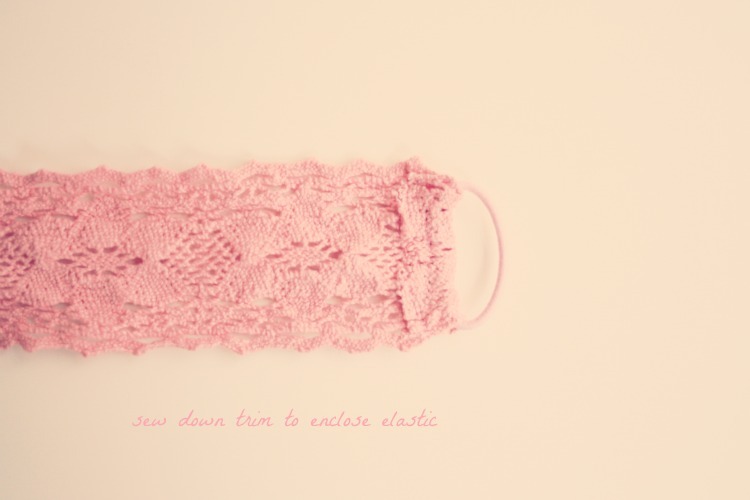 Great tutorial and thank you so much for your sweet comments about me on Paula's blog! I am sooo making some of these!! i love how you demonstrated to make them, it is so crystal clear! YAY! thanks.